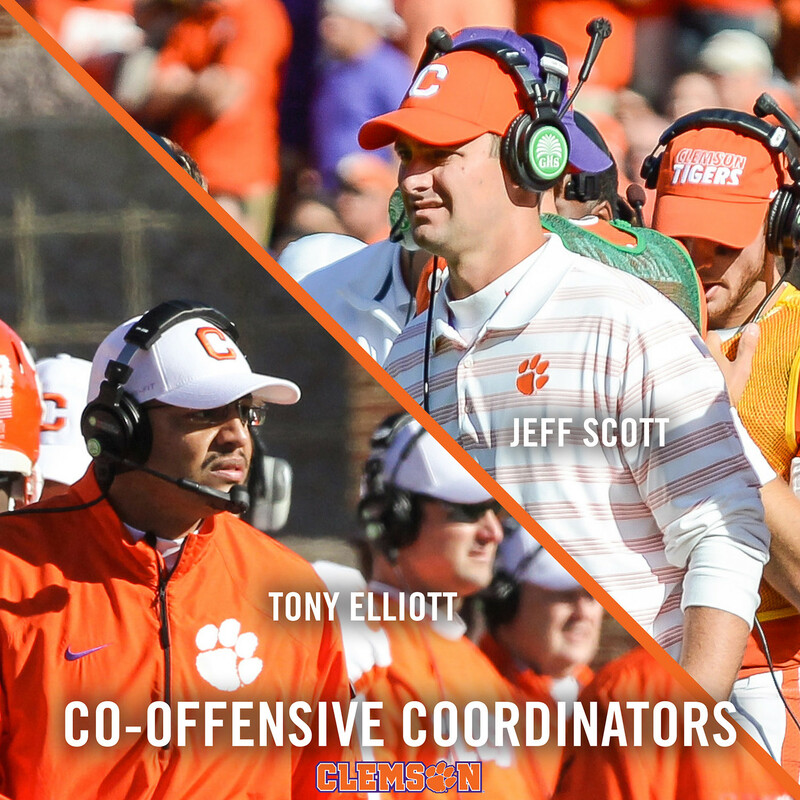 CLEMSON, S.C. – Co-Offensive Coordinators Tony Elliott and Jeff Scott were rated among the top-25 recruiters in the nation by Rivals.com. It was the first time two Clemson assistant coaches made the national list in one year. Clemson was one of eight schools with two coaches on the list. Others included Auburn, Florida State, Ohio State, Southern California, Tennessee, Texas and UCLA. Head Coach Dabo Swinney’s 2015 recruiting class was No. 4 in the nation by Rivals.com, the highest rating for the program by that website. Clemson had seven of the top-100 signees, fourth-most in the nation. The only schools with more were Southern California (11), Alabama (10) and Florida State (8). Louisiana State was fifth with six top-100 signees. Scott was also named ACC Recruiter-of-the-Year by Rivals.com. Elliott and Defensive Coordinator Brent Venables were rated among the top-10 recruiters in the ACC. Clemson was the only school with three of the top 10. Earlier, Elliott was named the top recruiter in the ACC by Scout.com.